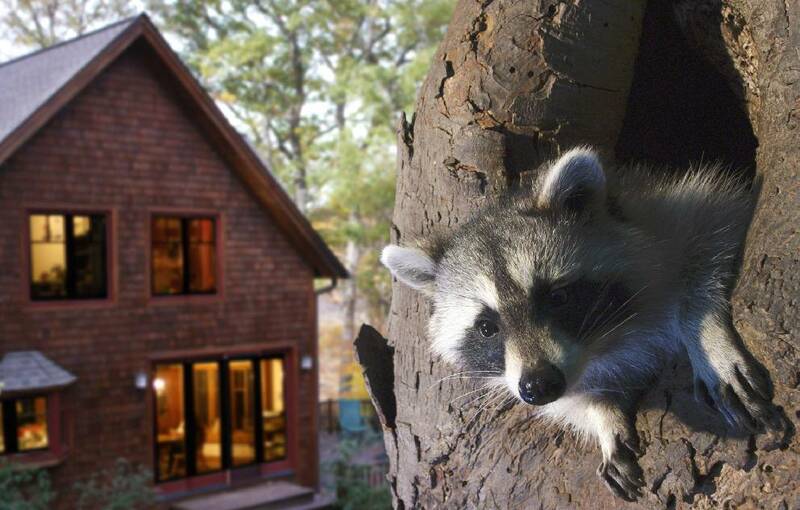 A raccoon featured in a new 3D film about backyard wilderness is shown in this contributed photo. The Wild Around You 3D premieres at the Tennessee Aquarium March 16. A new IMAX movie launching at the Tennessee Aquarium on Friday will highlight wildlife commonly found in the eastern United States. The film, titled "The Wild Around You 3D," tells the story of a fictional girl who is screen-obsessed. The girl is challenged by a school assignment to look near her home for wildlife. The assignment changes the course of her life and shows viewers the scope of nature that can be found in many people's backyards. "This kind of environmental education is very important for people, especially young children," aquarium Director of Science Education Brooke Gorman said. "It provides them with a connection to nature and the outdoors that many kids aren't getting today with video games and TV and everything else they do. The more people can connect with nature, the more they really care about it and the more they want to take conservation actions." Husband-and-wife filmmakers Andy Young and Susan Todd shot the film in and around their New York home. It highlights nature commonly found in suburban areas in the eastern United States, such as bees, salamanders, coyotes and deer. The IMAX format is more commonly used to show exotic places such as the top of Mount Everest or the bottom of the ocean, Young said. The couple wanted to take the high-quality imagery and show the journey of backyard wildlife. "For us, this isn't a movie, it's a movement to get kids back outside," he said. Chattanooga will be one of the first cities to show the film when it premieres Friday. It will launch the following week at select locations around the world. Todd and Young, an Emmy Award winner and Academy Award nominee, will be in Chattanooga for the premiere. They will introduce the film at 5:30 p.m. It will be shown daily at the aquarium at 11 a.m., 1, 3, and 5 p.m.
For more information, visit the Tennessee Aquarium website at tnaqua.org/imax/. Contact staff writer Mark Pace at mpace@timesfreepress.com or 423-757-6361. Follow him on Twitter @themarkpace and on Facebook @Chatta noogaOutdoorsTFP.